Steve Ballmer's unprecedented Clippers buy, the return of "Pikettymania" and more May happenings in the Twittersphere. You can’t always get what you want. But if you’re a former Microsoft CEO with $2 billion, you just might find you get a Los Angeles basketball team. The social media world was baffled over Steve Ballmer’s unprecedented $2 billion deal for the L.A. Clippers. “It may be another example of billionaires not knowing how better to throw their money away,” FT Alphaville reporter Izabella Kaminska concluded. Meanwhile, the Twittersphere exploded yet again over Thomas Piketty’s “Capital in the Twenty-First Century” after The Financial Times challenged some of Piketty’s calculations and their underlying data. Bloomberg Businessweek proclaimed “Pikettymania” with a dreamy teen mag-style cover. Even reknowned data whisperer Nate Silver weighed in. In other news, Josh Brown has a foolproof way to get your lost bag back from an airline, Barry Ritholtz reflects on his trading days, and Bill Griffeth has an origin story for a popular Rolling Stones song that advisors will appreciate (sorry, it’s not true). It is rare that one can say this, but here it goes…. The bond market has no idea what it is doing and has completely lost its mind. The other day Delta lost my bag and I felt like they were giving up the search. Til I told them there was a body in it. Seriously, if the Clippers are worth $2 billion, then what are the Lakers worth? $6 billion? Is a Dr. Evil pinky sneer necessary? 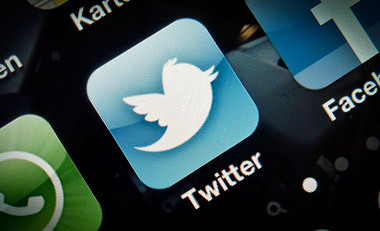 Check out 10 Best Finance Tweets of the Month: April on ThinkAdvisor.